For almost 20 years, Ultimate Linings has been a leading provider of bed liner and industrial coatings. Ultimate Linings excels in the industry by providing high quality polyurethane, polyurea, and hybrid products for industrial coating solutions. Currently, we are operating throughout the United States and the world, adding international dealers and distributors to our family. Industrial Coatings are here to protect your applications and choosing the proper coating can be challenging. We want to be there to help protect your valuable assets and to help you with our expertise knowledge. An industrial coating is a layer of protective coating applied to steel, concrete, and other materials. The coatings are manufactured with common polymers such as epoxy, polyurethane Coatings, urethane, acrylics and more. 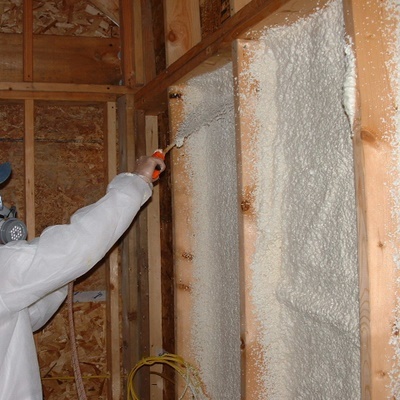 Industrial coating formulas and application methods vary widely depending on the structure and the protection needed. 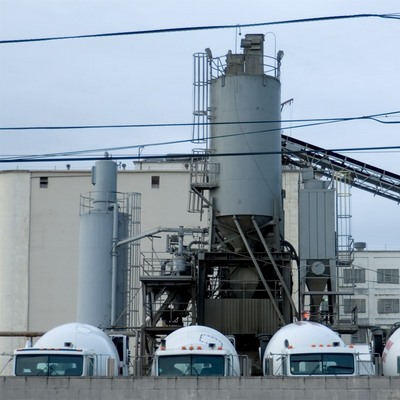 Industrial coatings can help to increase the lifetime of materials, which reduces replacement costs. “Ultimate Linings Providing best quality material for automotive coatings,automotive spray insulation,truck bedliner,boats and decks protective coating etc.” Ultimate Linings has grown year over year to be one of the largest industry provides across the United States and beyond. Today, Ultimate Linings offers a wide range of bed liner chemical options as well as varied application methods.No matter the size of the operation, we have a solution to fit your business. Ultimate Linings is an industry leader in providing long lastingcoating solutions with superior quality, application technology, andtechnical support. We are committed to supplying advanced products thatsolve our customers’ problems in an ever changing and challengingmarket place. Whether it is an industrial, OEM, or a retail bed linerapplication…Ultimate Linings has the right material and support. Ultimate Linings was founded on serving the Automotive Industry’sneed for high quality bed liner material. Working through local sprayshops, Ultimate Linings has grown year over year to be one of thelargest industry provides across the United States and beyond. Today,Ultimate Linings offers a wide range of bed liner chemical options aswell as varied application methods. No matter the size of theoperation, we have a solution to fit your business. Ultimate Linings industrial product formulations offer solutions forabrasion resistance, water proof coatings, blast resistance, hazardousmaterials containment energy, ballistic armor, chemical resistance,floor coatings, energy efficient insulation, structural reinforcement,corrosion resistance, fire retardant and thermal barrier coatings. Ultimate coatings are easy to apply and are durable environmentalbarriers under the toughest of conditions and provide resistance toinorganic bases, acids, alkaline materials and hydrocarbon solvents.Ourvehicular and pedestrian decks, industrial flooring and wall systemsare specifically formulated to withstand heavy traffic in the mostcritical areas. These seamless, elastomeric and water resistant systemscan prevent the deterioration of concrete and rusting of thereinforcing steel rebars. They have an extended open time to broadcastgranules for an anti-slip surface and are flexible and responsive toexpansion and contraction.Providing high elongation and tear strength,excellent low temperature flexibility and superior tensile strength,these systems will provide a permanent, long-lasting monolithic coatingfor your application. 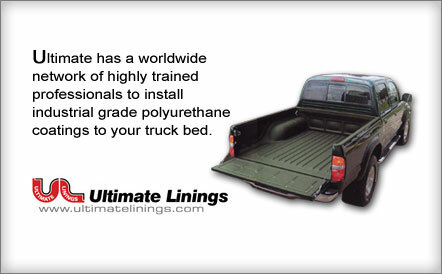 Ultimate Linings was founded on serving the Automotive Industry’s need for high quality bed liner material. Working through local spray shops, Ultimate Linings has grown year over year to be one of the largest industry provides across the United States and beyond. Today, Ultimate Linings offers a wide range of bed liner chemical options as well as varied application methods. No matter the size of the operation, we have a solution to fit your business. Ultimate coatings are easy to apply and are durable environmental barriers under the toughest of conditions and provide resistance to inorganic bases, acids, alkaline materials and hydrocarbon solvents.Our vehicular and pedestrian decks, industrial flooring and wall systems are specifically formulated to withstand heavy traffic in the most critical areas. These seamless, elastomeric and water resistant systems can prevent the deterioration of concrete and rusting of the reinforcing steel rebars. They have an extended open time to broadcast granules for an anti-slip surface and are flexible and responsive to expansion and contraction.Providing high elongation and tear strength, excellent low temperature flexibility and superior tensile strength, these systems will provide a permanent, long-lasting monolithic coating for your application.